Business description - Rites Limited is a wholly owned Government Company, a Miniratna (Category – I) Schedule ‘A’ Public Sector Enterprise and a leading player in the transport consultancy and engineering sector in India and the only company having diversified services and geographical reach in this field under one roof. The company has an experience spanning 43 years and has undertaken projects in over 55 countries including Asia, Africa, Latin America, South America and Middle East regions. The company is the only export arm of Indian Railways for providing rolling stock overseas (other than Thailand, Malaysia and Indonesia). 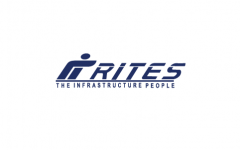 Rites is a multidisciplinary engineering and consultancy organization providing diversified and comprehensive array of services from concept to commissioning in all facets of transport infrastructure and related technologies. It has significant presence as a transport infrastructure consultancy organization in the railway sector. However, it also provides consultancy services across other infrastructure and energy market sectors including urban transport, roads and highways, ports, inland waterways, airports, institutional buildings, ropeways, power procurement and renewable energy. Rites Limited IPO allotment status is now available on Link Intime's website. Click on this link to get allotment status. Keep it, a real compounder. It will be foolish to sell right away. Allotment aa gaya hai aur most probably aapko nahi mila hai. Mujhe to nahi mila hai!! RITES is a PSU and offered prices is stable and satisfactory. It have got a very good track record and is professional in work. It is better to invest for long run. RITES is a good company. It is unlike other PSUs and if you walk into their office in Gurgaon, you can confuse it for a private sector office. And I’m not just talking about the building, it has totally different work culture, opposite of the sick culture of most PSUs. I’ve a friend working there and have been to the office a number of times. Grey market is supportive and pricing is good so I’ll be taking a plunge in this one. This one is better than Fine Organic but looking at the prices of other government IPOs it looks scary. Go ahead and invest in this. You will not regret.